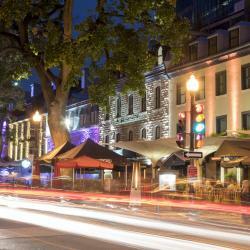 Looking for hotels near Place Royale? This hotel, created within two historic buildings, has rooms offering modern amenities while retaining the character of the past. In-room massage and extra services are offered. Offering free WiFi and a communal rooftop terrace, Les Lofts du Trésor is located in Old Quebec City, 328 feet from Basilique Cathedrale Noter Dame de Quebec. Located in Quebec City, 295 feet from Terrasse Dufferin, Manoir Sainte Genevieve has a number of amenities including a terrace and free WiFi. 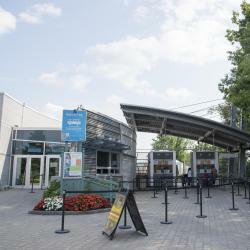 Hotel was ideally located and walkable to iconic sites for visitors to Québec. This hotel, created within two historic buildings, has rooms offering modern amenities while retaining the character of the past. In-room massage and extra services are offered. Amazing room..spacious..bed was heavenly.. In the heart of Old Québec, across from Parliament Hill, this historic boutique hotel is an 8-minute walk from the Québec City Convention Centre and other attractions. Extremely friendly and helpful staff. Nice breakfast each morning. Located in Quebec City, only steps from the fortified walls of the Old City, this charming hotel features a modern meeting room and 24-hour front desk. An excellent hotel, very well located, close to everything and a great staff. 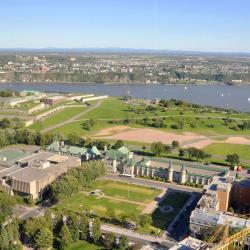 Hôtel Palace Royal is located in Quebec City, 984 feet from Morrin Center. The hotel has a hot tub and indoor pool, and guests can enjoy a meal at the restaurant. Beautiful property, fantastic location, delicious restaurant !! Will definitely be back ! Hotel Le Saint-Paul and its on-site restaurant are located in a historic building in the center of the Old Port of Québec. 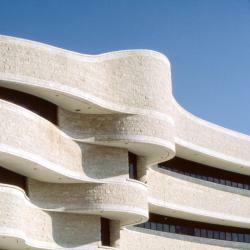 The Musée de la civilization museum is just 10 minutes' walk away. Marie was an excellent manager and hostess. The breakfast was fantastic.. The room was awesome. . This modern Old Quebec hotel is 5 minutes' walk from the Noter Dame de Quebec Cathedral and 10 minutes' walk from the Museum of Civilization. It features on-site dining. The location was great. The staff was very helpful. The room was comfortable and clean. Located in Quebec City's Saint-Roch Quarter, Hotel PUR Quebec is 15 minutes' walk from historic Old Quebec. It features an indoor pool and a 24-hour gym. I really like the design of the room, it’s modern and simple. It is clean and comfortable. 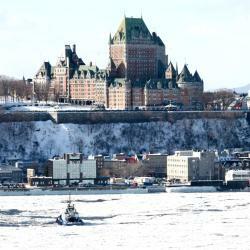 This elegant hotel in the heart of Old Quebec is just minutes from the scenic Saint Lawrence River. Everything was excellent! The location is just perfect. 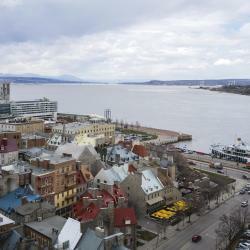 This modern European-style hotel in Quebec City overlooks the St-Lawrence River and is one block from the Citadelle de Quebec. A continental breakfast buffet is available at a cost. Location! Walking distance to everything. Very charming. 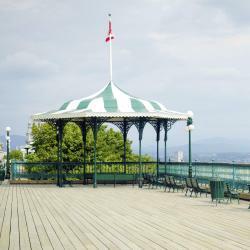 Hotels with great access to Place Royale! Located in the Centre-Ville of Quebec City, Les Lofts Ste-Anne has rooms with free WiFi. 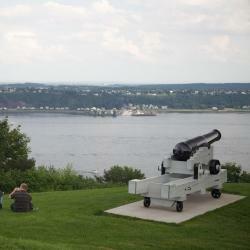 Popular points of interest nearby include Morrin Centre and Old Quebec/Vieux Quebec. Right in the middle of old town! The view from the windows was beautiful. Au Petit Hôtel is centrally located in Québec City. Free Wi-Fi access is available. Rooms here will provide you with cable TV, air conditioning and a refrigerator. The Au Petit Hotel was a very enjoyable place to stay. Nestled among 400-year-old buildings and ideally placed within the walls of Old Quebec, this exceptional boutique hotel provides state-of-the-art amenities, comfortable accommodations and is seconds... Location was perfect. The hotel is clean, comfortable and cozy. Breakfast was very good. This gay men exclusive hotel in downtown Old Quebec is across the street from Parc de l'Artillerie. It features a jacuzzi, sauna, steam bath and solarium. Great staff. Great location. Le Clos Saint-Louis is located in Old Quebec, within walking distance of Galerie D’Art du Chateau Frontenac. Free WiFi is offered. Breakfast was great, location to old city was perfect! An elegant brick building in the cultural center of Quebec City, this hotel offers breakfast in an art gallery setting and is 2 minutes' walk from Battlefields Park. Staff was excellent. Felix and Nathalia exceeded our expectations. Very friendly and helpful. We stayed here over the Christmas holiday and it was absolutely magical. This location is incredible. 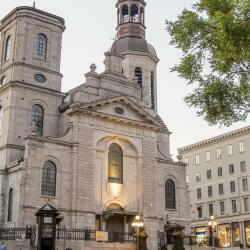 It's in walking distance of so many great restaurants, bars, and attractions, and is located directly across from Notre-Dame-des-Victoires, the oldest church in North America. The minimalistic apartment comes with modern appliances and plenty of extra blankets and pillows to make your stay more comfortable and warm. Several walls are made of stone, so the apartment may have been a carriage house at one time. The living room window overlooks Rue St-Pierre, a street that looks like a Charles Dickens novel. There is a small wine and cheese shop on this street too, which is a perfect place to pick up a few snacks. For a late night drink, shots of Canadian maple whiskey or a good bowl of French onion soup, check out L’Oncle Antoine on the corner. Go see this in the AM and grab coffee and pastry at the coffee shop in Place Royale area. We found there were far too many people and kids everywhere in the PM that it was hard to really take it all in and see Place Royale and take pictures worth keeping. Grab an outside table, sip your java and enjoy fewer people and noise. This is a beautiful square that bustles during the day time with restaurants, art galleries, a very good museum and shop and much more. But don't neglect seeing it in the early morning or later evening after the crowds have gone. It is peaceful and offers opportunities for great photographs. People are talking about Place Royale! Explore guest hotel reviews featuring "Place Royale"
We enjoyed our one night stay at Hotel Le Saint Paul. 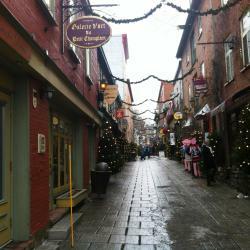 Located in Old Quebec, with the view of Old Port in the back, many restaurants, stores and attractions within walking distance. We enjoyed sightseeing around Place Royale, Latin Quarter and Lower Town. The staff at Hotel Saint-Paul were very friendly, the bed was extremely comfortable. It was very convenient to have a coffee maker in our room, in an exceptionally cold winter it really helped us. Breakfast was very good and located on the main floor. Excellent staff, from the Concierge to the cleaning crew. Very short and scenic walk to Place Royale.